Sotogrande Alto is the upper part of Sotogrande, characterized by its hills and forests. Properties with spectacular panoramic views and quiet setting above the coast are the main reasons why this area is highly popular among prime second home buyers. Spacious luxury villas and mansions situated in the foothills of the Sierra Almenara mountain range dominate Sotogrande Alto property market. The average price for a house for sale in the area is Average price per sqm. in Sotogrande Alto €2,464 0% properties#: 375 last change on: 19 Apr 2019 €2,464 per sq. meter. Sea view position adds an extra value to the average selling price. Apartments in the upper part of Sotogrande have a significantly lower price compared to the coastal area. An average price for a Sotogrande Alto apartment for sale hovers around Average price per sqm. in Sotogrande Alto €2,120 0% properties#: 122 last change on: 19 Apr 2019 €2,120 per square meter, while investment opportunities available have a current average of Average price per sqm. in Sotogrande Alto €2,954 0% properties#: 14 last change on: 19 Apr 2019 €2,954 . The most renowned agencies on Sotogrande Alto property market are Landcaster with more than 150 listings, followed by Noll & Partners and Teseo Estate exceeding 130 active listings. Sotogrande Alto has a very convenient location next to the International Airport of Gibraltar, which is just a 25-minute drive away. In about one hour drive along the sea is the International Airport of Málaga, what makes access to the area even more flexible. Vast green areas create a perfect setting for the local five green fairways, which will satisfy the most demanding golf enthusiasts. Valderrama Golf Club is one of Europe’s best-known golf clubs, also is considered to be the best in Spain. The tradition and first-class quality create a high interest in buying a Valderrama property. This exceptional 18-hole facility was awarded the Audobon environmental certificate. Also, it was the stage for the Ryder Cup in 1997, and numerous other world-class championships. Valderrama Golf Club real estate is a highly sought-after destination for property buyers from all Europe. There is a premium value of 20% on the top of the selling price for a Sotogrande Alto house for sale with a position offering a view of the golf course. 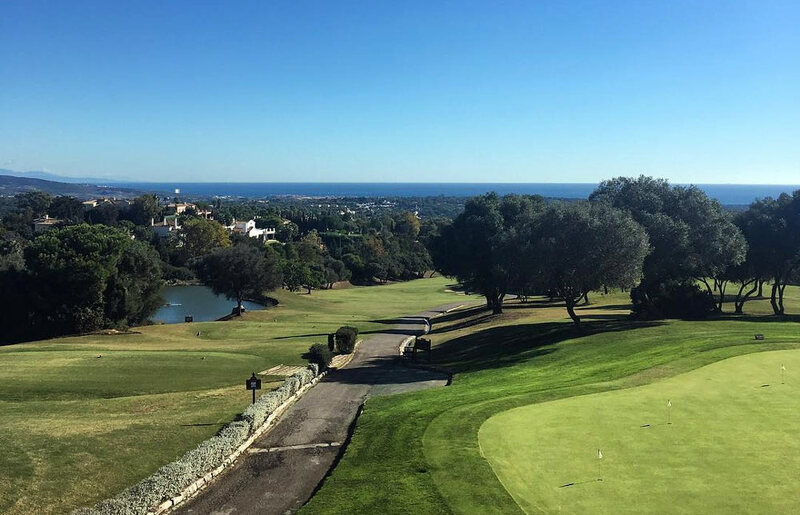 Almenara Golf Club is praised for its beautifully sculpted fairways in a picturesque mountainside location. You can enjoy scenic views of the sea surrounded by olive trees and limestone rocks. Moreover, the course is designed for all abilities. No wonder that Almenara golf villas are highly popular among property prospectors. La Reserva Club, another golf fairway in Sotogrande Alto, is part of the La Reserva Country Club community. This relatively new 18-hole golf course is carved into the hillside and offers a unique experience of contemporary Sotogrande. To the north from the greens, there is a valley for additional sports, leisure activities and wellness. A very popular part of La Reserva Country Club is famous Sotogrande Equestrian Club, Hipica. The stables are home to more than 100 horses and the school provides first-class facilities. For young riders, there is also a pony club. In addition to the golf, majestic Sierra Almenara mountain range offers many hiking routes. Here, you will experience breathtaking views of the Mediterranean Sea and Gibraltar on a whole new level. The coastal part of Sotogrande boasts two high-standard beaches awarded a European Blue Flag – Torreguadiaro and Cala Sardina. It is just 15 minutes drive to the marina, where you can enjoy sailing and yachting in local sports clubs. The whole area of Sotogrande is full of high-quality restaurants, offering cuisine from all over the world and traditional Andalucian cuisine. In the nearby Puerto Sotogrande marina, many markets take place. The most famous Mercado del Levante takes place on summer evenings and hosts vintage food trucks, gourmet food stalls, restaurants, live music and various drinks. For families with kids, there is the Jugania playground. It consists of a castle, jumps, rides, swings and other activities to let out the never-ending energy of children. 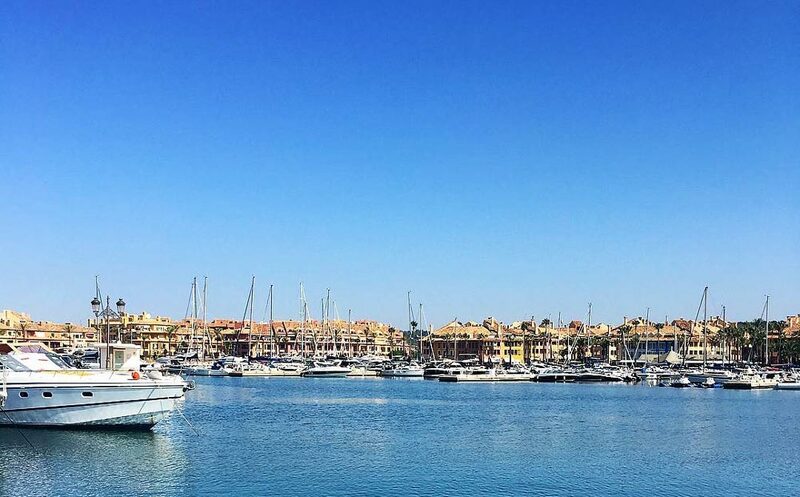 Finally, Sotogrande properties are highly-sought after by second home buyers. The Sotogrande Alto real estate market consists mainly of the most luxurious and stylish villas and houses, enjoying the breathtaking views of surrounding mountains, the Mediterranean Sea and Gibraltar. On top of that, the tranquil setting above the vibrant coast creates a perfect place for families.